Tips for buying a home in a seller’s market. Supply and demand runs all markets, real estate included. The Fort Wayne real estate market has been a seller’s market over the last year or so because of low housing inventory. There just aren’t many homes for sale out there, and when a desirable home comes on the market, it’s usually met with multiple offers from buyers. Here are some tips for buying a home in a tight market. Know exactly how much you can comfortably afford. Getting a mortgage pre-qualification is always a good idea, but in a tight market it is a MUST. Keep your eyes open on a daily basis. We’ll set you up on a program where you will get emailed brand new listings that fit your criteria the minute they go live online so we can be ready to move. Be ready to pull the trigger. Make sure you know what you want and need in a home so you won’t be unsure when you have a chance to make that offer. Bid competitively. In this market we’ve seen homes sell for over asking price. We don’t always encourage our buyers to start off bidding their top dollar, but in this market we have. Each situation and home is different. We’ll be there to advise and educate. Keep contingencies to a minimum. 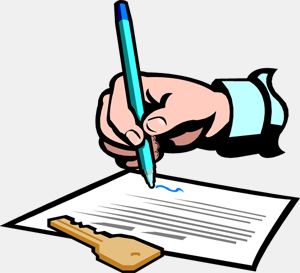 If you have a home to sell first, it needs to be under contract and in pending status before writing an offer on another home. Pay your own closing costs. A lot of buyers ask the sellers to pay either part or all of the buyer’s closing costs which normally range between $2,000 – $3,000. If you’re asking a seller to pay up to $3,000 of your closing costs, that makes a $150,000 look like a $147,000 offer. Pay your own if you can! Don’t get caught up in a buying frenzy. We want all of our buyers to be happy and to be comfortable with this process. If it doesn’t feel right and you are nervous to get into a bidding war and over pay, don’t do it. If you’re currently in the market to buy a home in the Fort Wayne area, please call us at 260.704.0843. We’d be happy to help!